In the silence of the Picentine hills, where the unrivaled green dominates the panorama, Villa Rizzo awaits its guests. In the three main wings of the Masseria, there are three different types of rooms: Classic, Junior Suites, Suites and Apartments. 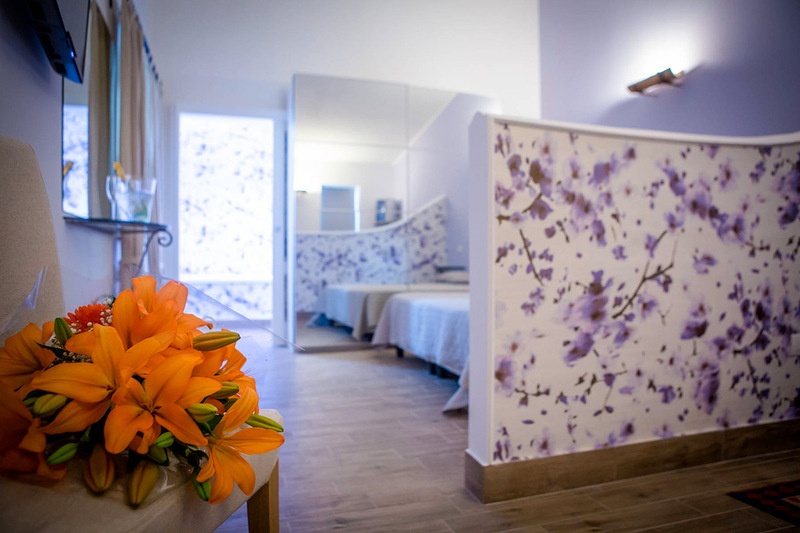 The rooms are spacious and comfortable, each of them with its own architectural characteristics and equipped with all facilities (central heating, air conditioning , TV, mini bar, safety deposit box, direct telephone, Internet connection and window, balcony or terrace). 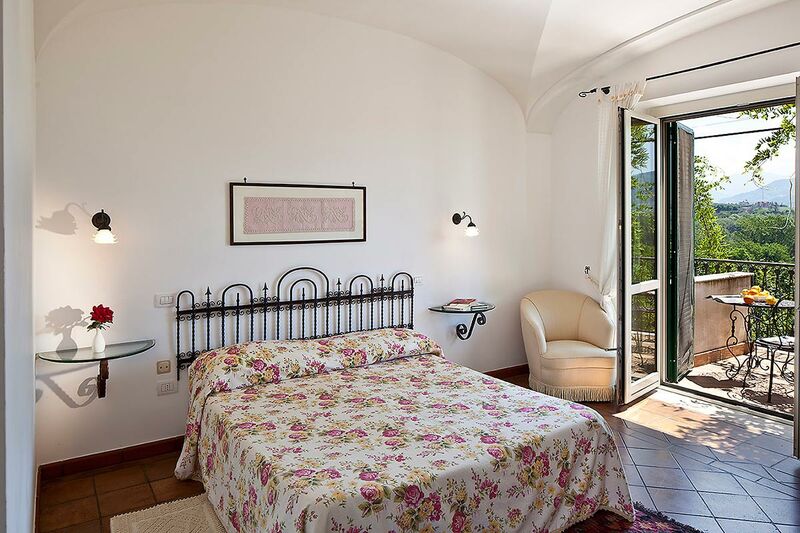 The rooms are furnished with fine furniture and wooden cabinets and they offer a wonderful view over the garden and Picentini countryside. Each room comes with the following services: television, internet connection, air conditioning, minibar and telephone line. The elegant bathroom made of “ceramica vietrese” offers a comfortable rain shower. This is a room furnished with elegant style and is more spacious than the classic. It has lovely views over the garden or surrounding countryside. Each room is equipped with the following services: LCD TV, wi-fi, air conditioning, minibar and telephone. The elegant bathroom ceramics from Vietri has a comfortable shower or jacuzzi. The new Limone Suite is elegantly furnished with attention to details. 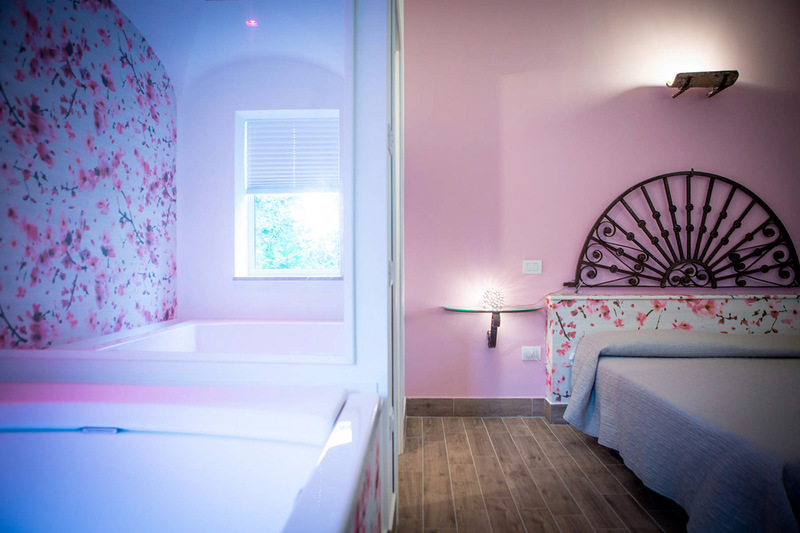 A relaxing whirlpool with large shower and color therapy is located inside the bedroom. The room offers the ultimate in comfort with its living room with a lovely view of the garden and surrounding mountain landscapes. Unique of its kind it offers the following services: LCD TV, wi-fi, air conditioning, minibar, complimentary toiletries and customized Villa Rizzo slippers. The new Suite Lampone is elegantly furnished with attention to details. The comfortable bedroom with its living room with sofa and coffee table alongside a stylish bathroom with a relaxing Teuco Whirlpool with chromotherapy and shower with a large shower head. 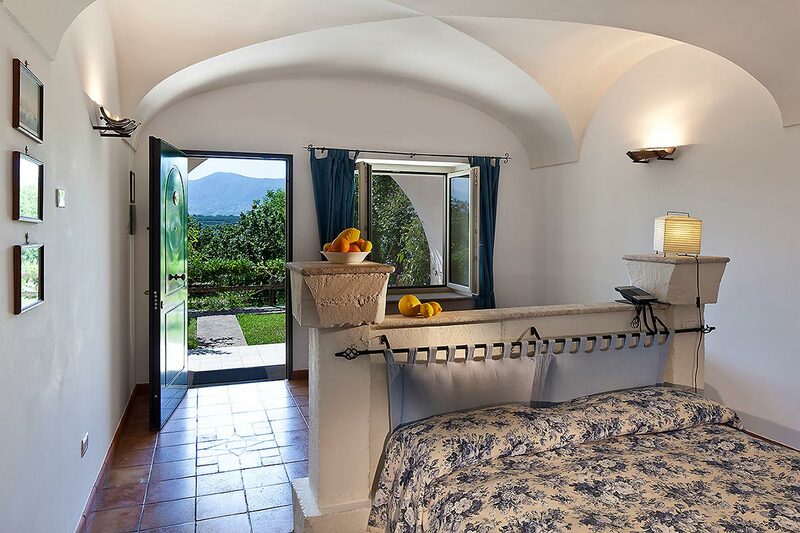 The room offers the ultimate in comfort with a lovely view of the garden and surrounding mountain landscapes. It offers the following amenities: LCD TV, wi-fi, air conditioning, minibar, complimentary toiletries and slippers customized Villa Rizzo.